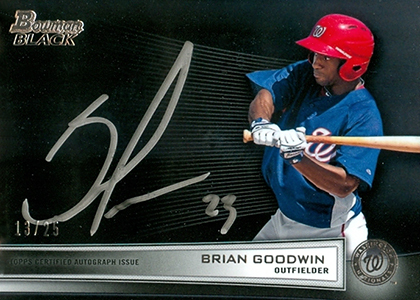 Bowman Black is back. 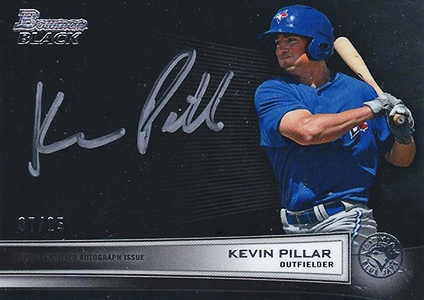 The living set continues from last year, delivering some of the most distinct prospect autographs this side of the hobby. 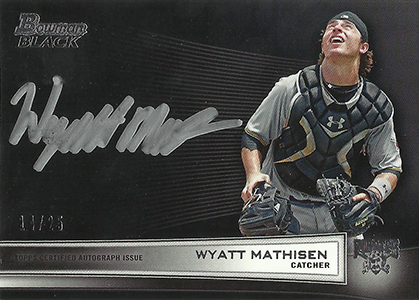 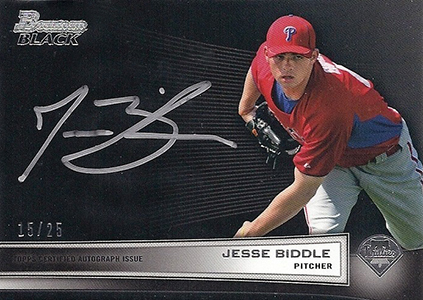 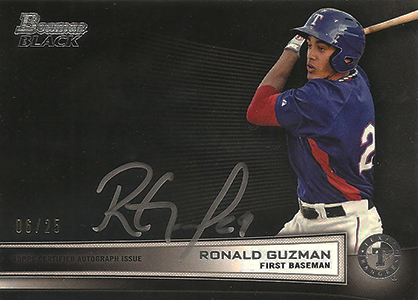 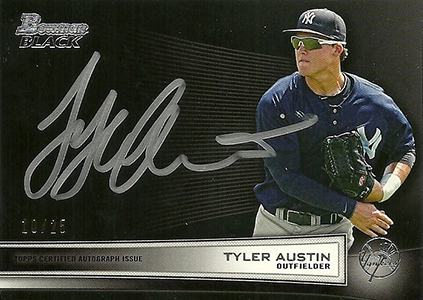 2013 Bowman Black Collection Autographs offer signatures from some of the top prospects in baseball. 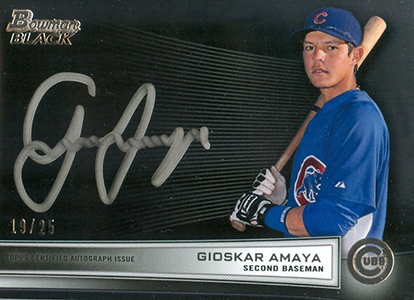 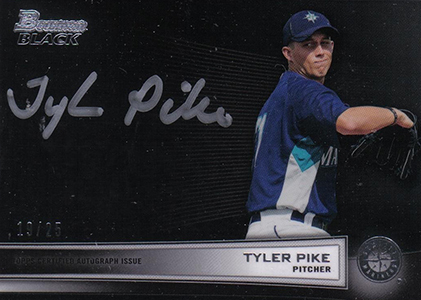 Bowman Black gets its name from the dark signing surface used on the cards. 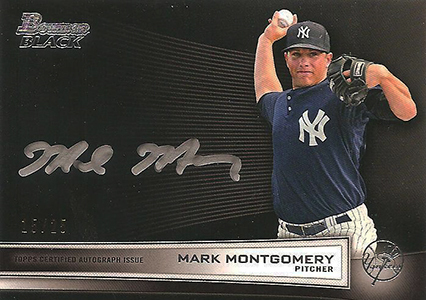 They're signed on-card in silver, giving them a lot of pop. 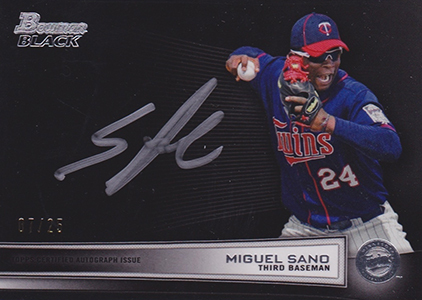 Individual cards come numbered to 25. 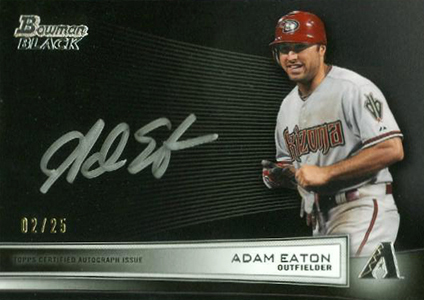 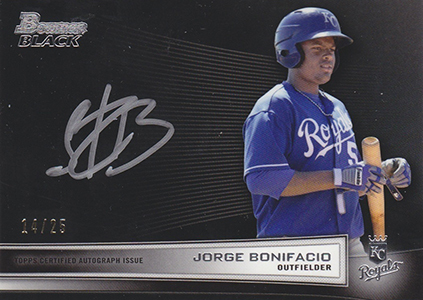 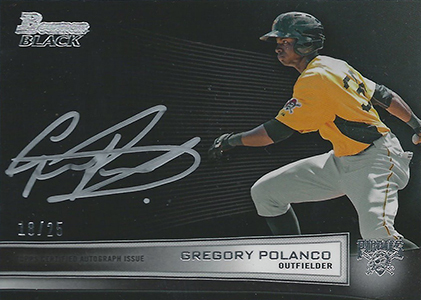 Shop for 2013 Bowman Black Autographs on eBay. 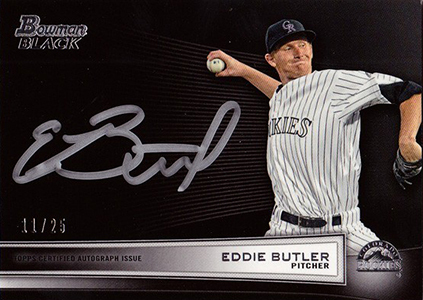 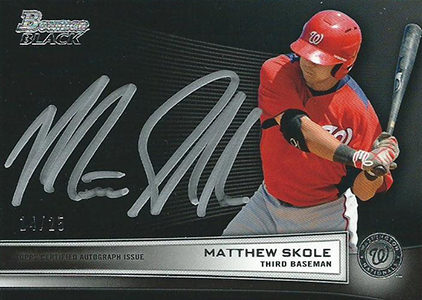 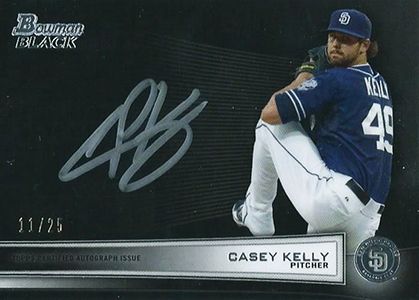 Like last year, 2013 Bowman Black Autographs will be spread across each Bowman release. 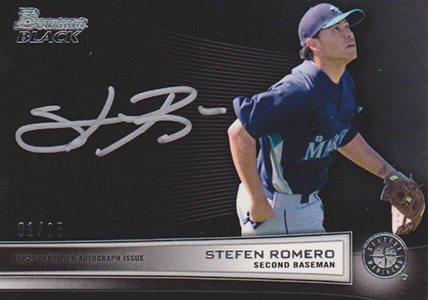 They kicked off with 2013 Bowman Baseball with more on the way in 2013 Bowman Inception, 2013 Bowman Chrome, 2013 Bowman Platinum and 2013 Bowman Draft Picks & Prospects. 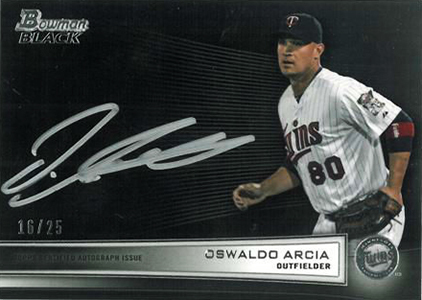 The plan is for each set to have around 25 cards. 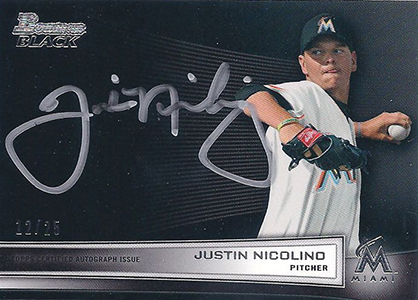 One of the issues with the 2012 Bowman Black Autographs appears to have been fixed. 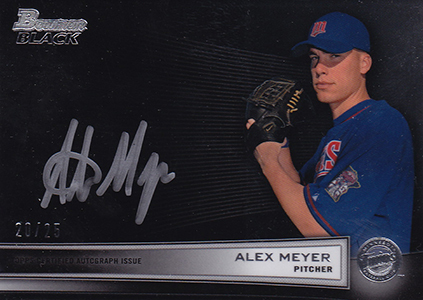 Many cards in the first year came with lots of chipping and dings. 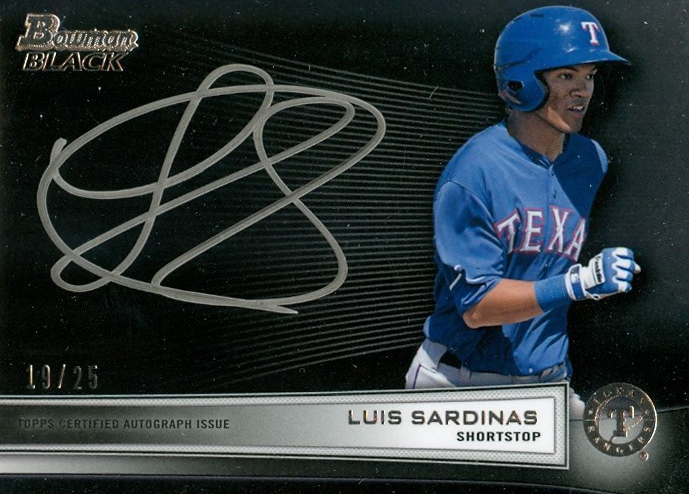 These imperfections were amplified by the dark look of the cards. 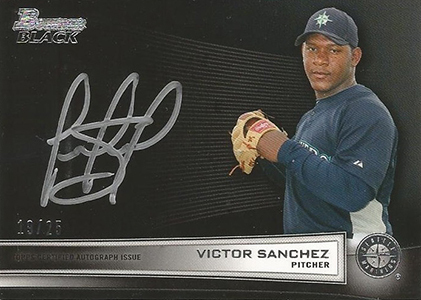 However, the 2013 cards appear to be much better. 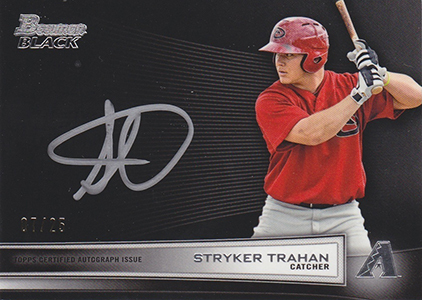 This should help the long-term prospects of the cards. 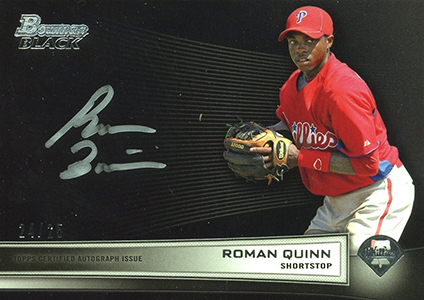 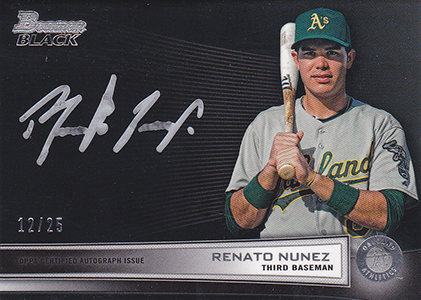 Below is a gallery of 2013 Bowman Black Autographs (minus redemptions) as well as a complete checklist with team info. 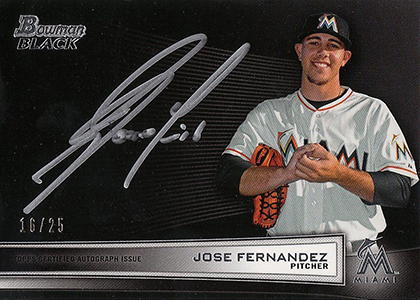 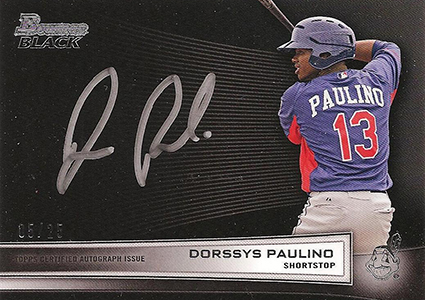 This gallery currently covers cards released in 2013 Bowman Baseball and 2013 Bowman Inception Baseball. 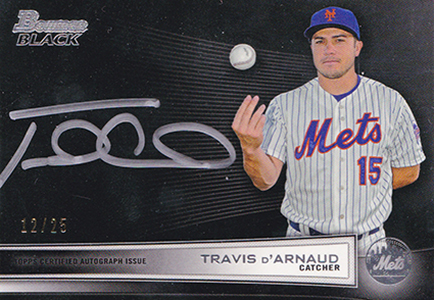 Cards are arranged according to their first name. 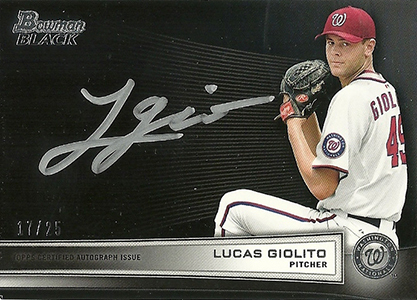 Please note that Jake Odorizzi is listed on the Bowman Inception checklist, however we have yet to spot one. 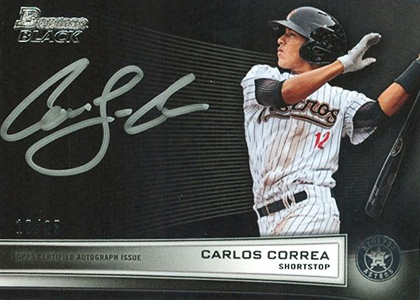 Below are checklists for each of the 2013 Bowman Black installments. 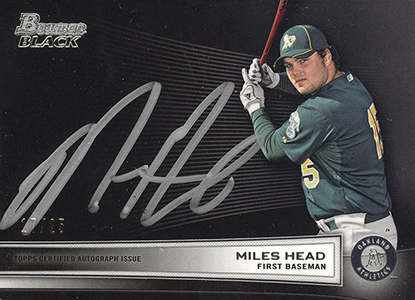 Checklists are arranged by what set they were released in. 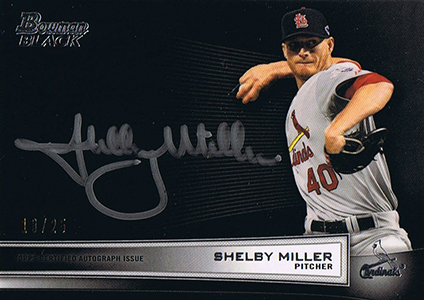 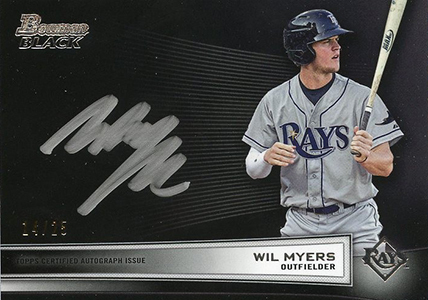 Shelby Miller made it work to some degree, but overall the silver sharpie just doesn’t cut it… tips are too big and the majority of the sigs come off as one big smudge.